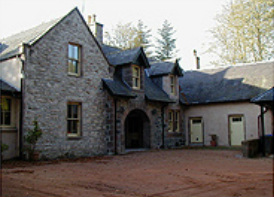 The Practice was established in 1976 with an office in Edinburgh. Later, a branch office was opened in Aberdeen, and around 1980, the Edinburgh office was closed. All business is now conducted through the Aberdeen office. The work load of the office is predominantly residential in nature but commissions concerning commercial and health, are currently being worked on. David Morris, the Principal, is also experienced in the preparation of Access Audits under the terms of the Disability Discrimination Act. Qualified architect. leading a team of architectural designers and technicians across varying projects. Morris Associates UK Architects in Aberdeen will assist in the architectural design of buildings from inception through the applications for Planning Permissions and Building Warrants to the construction phase and completions. Full member of the Royal Institute of British Architects and of the Royal Incorporation of Architects in Scotland. Having been established in Aberdeen for over 30 years, David Morris has an excellent reputation for meeting clients expectations and more. Guiding you through the whole process, he will ensure that you are kept up to date with Architecture Aberdeen.